Among attempts to make the world a smaller place, here is a mix and match of cultures, from a foreign film screening to live music bands from different countries, workshops and most importantly, dancing for all. 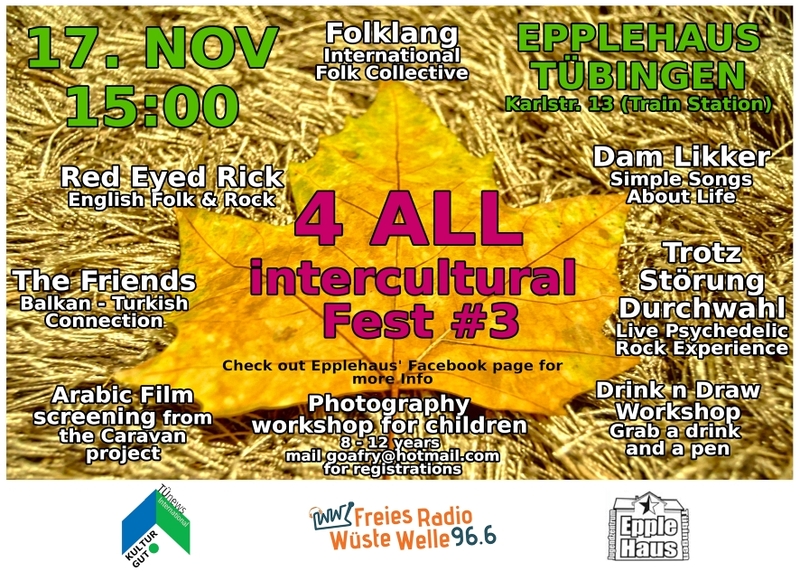 With all artists finally finding themselves in one of the following magazines of TÜnews International – this gala event brings forth this day of celebration of our diversity and uniqueness – the 4ALL Inter-Cultural Fest, Tübingen. Come one, come all, after all its 4ALL !!! Mail goafry[at]hotmail.com for early registrations. A collaborative effort of TüNews International, Wüste Welle and Epplehaus!